PRP works on the simple basis is that of utilizing your own natural platelets to instruct the body to create new collagen for thicker and tighter dermis, smoother and better-toned skin. It is also an excellent treatment for those with acne scarring. 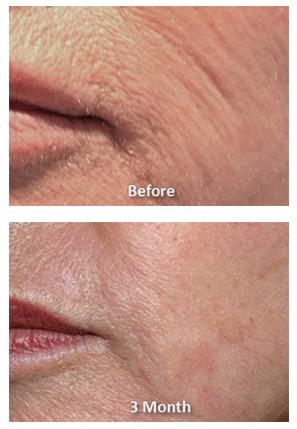 The platelet solutions are put in the desired areas with Micro-needling. 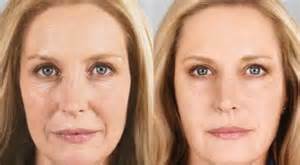 It is a simple in-office non surgical procedure which uses a concentrated serum processed from your own blood in to call in the natural collagen building process. A nurse will take a small vial of blood from your arm – less than that normally taken for routine blood tests. The blood is then placed in a vial and spun in a centrifuge to separate the red blood cells and plasma. The process concentrates the platelet count to about 4X normal. It is this platelet-rich plasma – often called “liquid gold” – that is then activated and applied topically in a surface regeneration action. The serum is activated by the addition of simple calcium chloride and the patented Selphyl matrix. The activated plasma serum behaves the same way the body would respond if there were an actual injury – healing platelets rush in to create a rich fibrin mesh. This fibrin mesh in turn calls out to natural healing cells, releasing growth factors and stimulating the process of fibroblast production (the cells that create collagen) to energize and heal. At Bella MediSpa we never offer any treatments to our clients that haven’t been proven effective. Once satisfied, we try several different manufacturer’s to determine which has the best results. 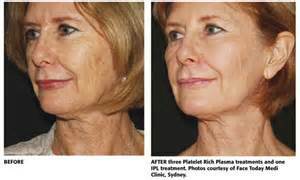 The Selphyl system has a unique patent that no other PRP System has. 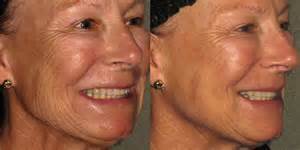 Once the procedure is done with traditional PRP, it stays active for about 7 hours. With the Selphyl patent it’s 7 days. The Selphyl product cost to us is almost double compared to others. We deem this well worth the extra cost and have absorbed this difference to stay competitive knowing how much more effective our system will be for our valued patients. Many PRP systems require operator skill, have varying results and have extensive contaminating with red blood cells and white blood cells. Selphyl® removes virtually all contaminating cells and is independent of operator technique. PRP is converted to PRFM through a controlled process, creating a scaffold that serves to protect and preserve platelets. Think of Selphyl® PRFM as the next generation PRP. Avoid all blood thinning medications and herbal supplements for 1 week prior to your appointment. Avoid taking Aspirin and non-steroidal anti-inflammatory medications (NSAIDS) such as such as Ibuprofen, Motrin and Aleve. In addition, very high doses of some Vitamins and supplements can thin your blood and increase the chance of bruising. Please notify your provider if you are taking Coumadin, Plavix, or any other blood thinners for a medical condition. PLEASE DRINK PLENTY OF WATER BEFORE YOUR APPOINTMENT TO CREATE OPTIMAL PLASMA RESULTS. Immediately after your treatment, you will look as though you have a moderate to severe sunburn and your skin may feel warm and tighter than usual. This is normal and will subside after 1 to 2 hours and should fully recover within 72 hours. The first 24 hours it is critical not to massage or press on your face (neck & chest if treated). The Selphyl patented scaffold is in place and working! After 5 hours you may use a gentle cleanser with tepid water to cleanse your skin for the first 48 hours. Always make sure your hands are clean when touching the area. AM & PM Skin Care Protocol: Gentle Cleanser, SkinMedica Recovery Complex, B5Hydrating Gel, Epidermal Repair – Use all 4 for the first 7 days. 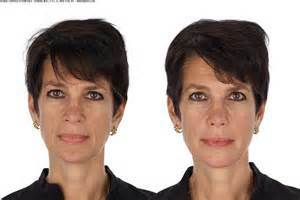 After 7 days you may discontinue the B5 if your skin is no longer dry and the Epidermal Repair. Sunscreen should be used continuously. Makeup should not be applied for at least 12 hours. Please make sure makeup brushes are clean. Sleep on your back for the first night. Placing a pillow under your knees will help prevent you from rolling to the side while keeping you comfortable. For 7 days do not use any products with AHA, BHA, Retinol, Vitamin C or anything perceived as “active” skin care. Avoid intentional and direct sunlight for 1 week. No tanning beds. Do not go swimming for 3 days post treatment. No strenuous activities for the first 72 hours. Sweating and gym environments can be harmful and may cause adverse reactions. For best results and efficacy: We recommend a series of 3-6 treatments administered at 4-6 week intervals.